Are you in the market of a new headphone? Comparing to earphones, headphones provide much better comfort when listening music for long hours. Headphones also give the best surround sound and bass effect than earphones. Do you have difficulty deciding to buy the Philips SHP9500 or Sennheiser HD598 SR? If you listen to a variety of musical genres or frequently play video games, these headphones are right for you. They are inexpensive, yet provide very reasonable sound quality for the price. They are comfortable and good build quality. Let’s check them out! When you first put these headphones on your head, you will immediately notice the excellent comfort provided by the double layered headband padding and the breathable ear cushion for longer wearing comfort. The SHP9500 as one of the most comfortable full-size headphones at this price, and the self-adjusting headband always provides just the right clamping force. Although the earpads are not replaceable, their quality is good, so they will likely outlive the headphones themselves. Also the open-back design ensures a good ventilation. The design is professional and the headphones are well constructed. We have never noticed any unwanted sounds, resonance, or other general annoyance during our testing. The 50mm neodymium drivers are designed to deliver a full sound and accurately all frequencies. We have found the sonic character of the SHP9500 to be midrange-centric. However, that definitely doesn’t mean that the headphones would be unable to cope well with lows and highs. Bass, especially, is represented accurately, which could make a few bassheads feel like the headphones lack a punch. In reality, they simply do their best to avoid unnecessary sound coloration. Many happy owners have found them to work amazingly well for home instrument practice, including the piano and drums. Detachable 3.5mm cable|Decent clarity and pretty good for gaming. Very sensitive to ambient noise. For more information about Philips SHP9500 HiFi Precision Stereo Over-ear Headphones，please check out customer reviews on Amazon. The open-backed Sennheiser HD 598SR headphones offer a jazzed-up take on the HD 595, which have been part of Sennheiser’s over-the-ears range for more than five years. The main structure is made of plastic, the headband from foam and leather, the cups from fleece and metal grilles supply these ‘phones’ open backs. There are glossy “Burl wood” veneers that surround the speaker grilles and hem-in the leather part of the headband, but they’re purely aesthetic and shouldn’t affect the HD 598SR’s sound whatsoever. Unlike the Sennheiser HD 595 headphones, the HD 598SR’s cable is removable. A 2.5mm jack plugs into the headphone itself, while a twist-to-lock mechanism keeps the cable safely in place when attached – a simple yank won’t pull it out. At the other end of the cable sits a 6.3mm jack, but Sennheiser also includes a 3.5mm converter, so you can plug it directly into a portable MP3 player. The updated design of these headphones seemingly hasn’t added any flab, as they weigh the same as the original HD 595s – significantly lighter than the popular, more expensive Sennheiser HD 650s. They’re exceptionally comfortable, thanks to the team effort made by the padded leather headband, velour ear cups, lightweight construction and over-ear design. They do apply some slight pressure to the sides of your head, but they can be worn all day long, and all night too, without any discomfort. 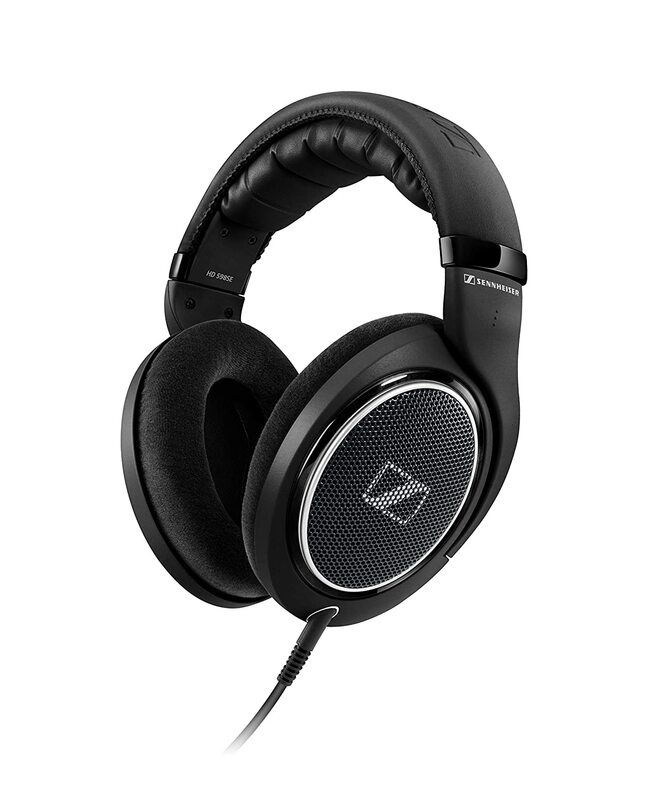 For more information about Sennheiser HD 598 SR Open-Back Headphone，please check out customer reviews on Amazon. If you are buying the Philips SHP9500S headphone for gaming, the V-MODA BoomPro Microphone is a pretty good add on. Many of our readers buy this little device for their headphone. There’s no doubt that both headphones are good, but they have their strength and weakness. 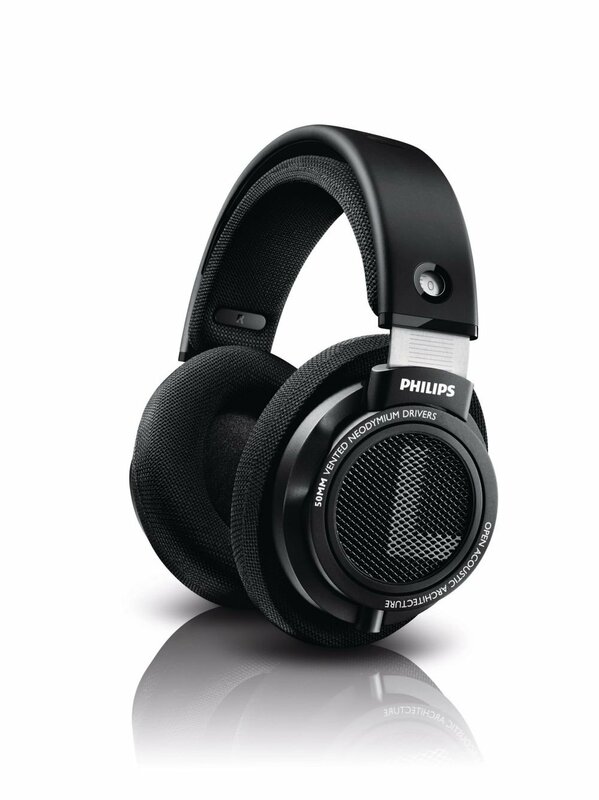 If you have low budget, the Philips SHP9500 is the way to go, it gives the best value of the price. Many users like the Philips SHP9500 for game playing. If sound quality is your concern, definitely go for the Sennheiser HD598 SR. This headphone is more for music lovers. If you want a better sound quality and love bass, I would recommend the Sony XB950B1 Extra Bass Wireless Headphones, it is one of the best selling item on Amazon in 2017. If you don’t like either of those, We have a full article What Headphone To Buy In 2018. It will guide you to choose the right headphone.